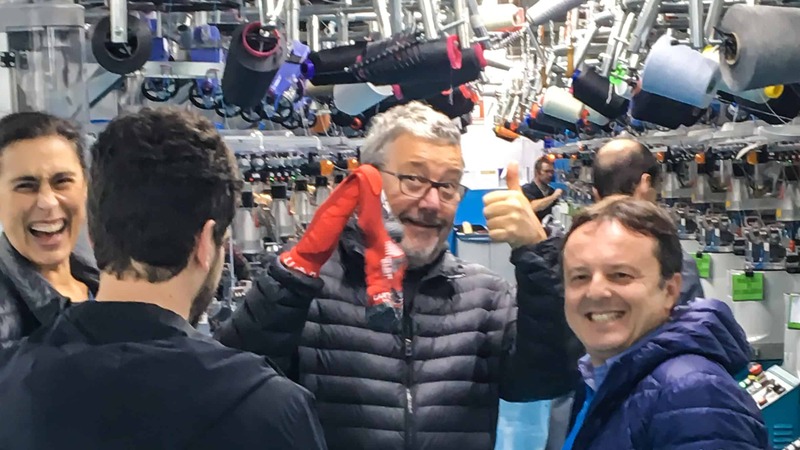 Philippe Starck visited our plant in Asola and was highly impressed by our advanced technology: the French designer did not anticipate so much innovation in underwear – in our production he could convince himself of the opposite. Philippe Starck is considered as one of the most famous designers and interior architects of our time. During a production tour we could show him our advanced technologies, which ensure we can create innovative products that combine design with quality and unique wearing comfort. We had a great day with you, Philippe Starck.